Do you know what DNA stands for? It stands for DeoxyriboNucleic Acid. Even more important than what it stands for though, is what it does for us! Teach your students about the importance of DNA by having them build their own models. 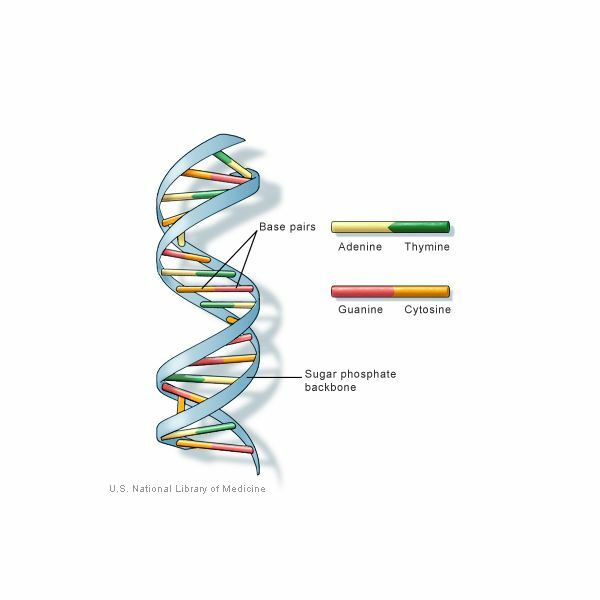 Students will be given notes on the structure of DNA (sugar/phosphate backbone, Adenine pairing with Thymine and Cytosine pairing with Guanine). 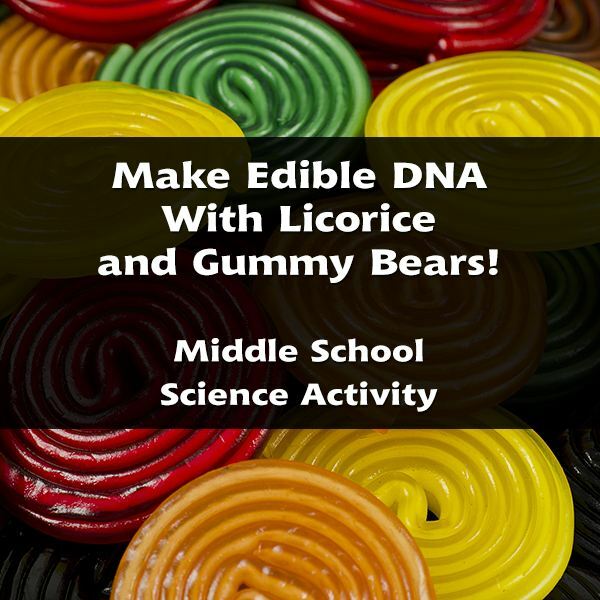 They will then create a 3 dimensional model of DNA using candy! Students will identify the 6 main parts of a DNA molecule. Students will correctly pair DNA bases together in a model. 3. Starting with a red piece, alternate red—black—red—black in a straight line. Connect them with a long piece of thread or tooth floss. 6. Pair up all the red and yellow ones by sliding a toothpick between them. Keep the gummy bears upright (heads pointed towards the ceiling). There should be extra toothpick sticking out on both sides. 7. Repeat step 6 for the green and orange ones. 8. Arrange the paired gummy bears any way you like in between your two backbone strings. 9. Stick the toothpick that is coming out of the gummy bears into each side of sugar (red licorice) on the backbone. 10. Make sure you have 10 steps for this DNA ladder. Make sure that the correct gummy bears are paired next to each other. After completion of the lab, a short quiz could be given on DNA structure. This will lead directly in to the new lesson on heredity (phenotypes and genotypes).